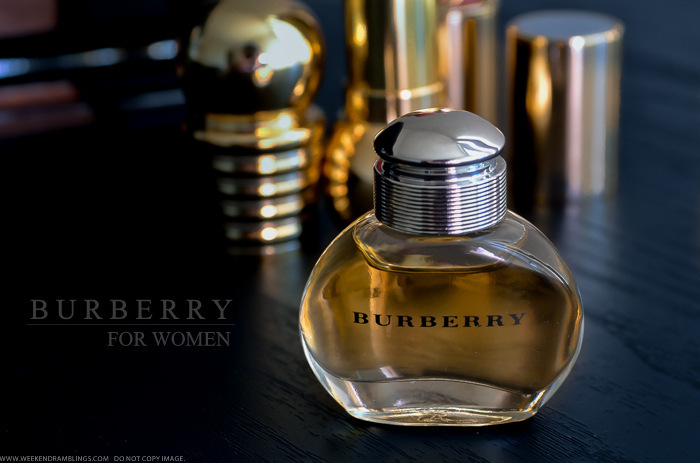 Burberry for Women is a fruity oriental fragrance that is fresh and sensual, capturing the understated elegance of the brand's heritage. Top notes of black currant, bergamot and green apple open up to embrace a heart of cedarwood, jasmine, moss and sandalwood. Base notes of musk and vanilla round out the scent, making it warm and voluptuous. 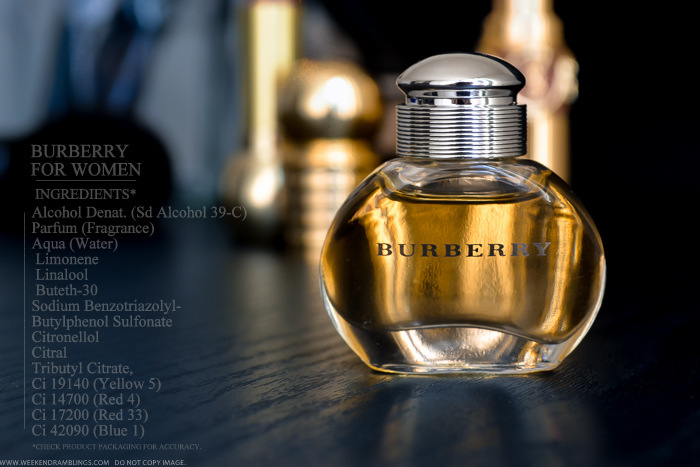 I have liked most of the Burberry perfumes I have tried so far, and this Burberry Classic for Women Eau de Parfum is another of my favorites. This is a fruity oriental fragrance that is more of a fall-autumn fragrance and perfect for cooler days and for the evenings. There is a warm sweetness to it from the vanilla and musk while the spicy fruity notes of green apple and bergamot keep the fragrance from seeming to heavy. The perfume lasts a good while on my skin but is never too strong or overpowering. 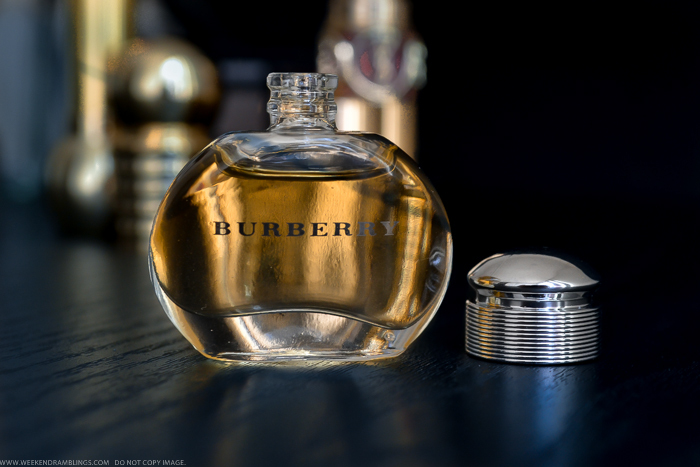 The bottle I have is part of a Burberry fragrance set/coffret - a miniature size and isn't a spray bottle, but otherwise, the design is pretty much the same as the regular size bottles. Overall, a lovely classic that is rich yet never overwhelming. Do give it a try if you love warm sweet scents.